Sports Illustrated has put out a piece on the “Worst non-active player by franchise” for each and every franchise, the Redskins included. The player that the author the piece, Doug Farrar, picked was truly one of the biggest busts in NFL history – that being former defensive tackle Albert Haynesworth. 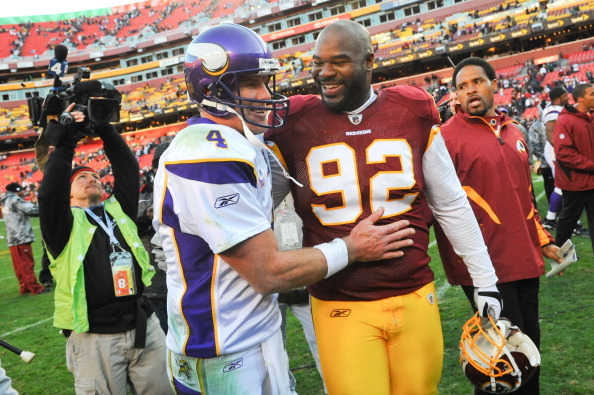 Drafted in the first round of the 2002 draft by the Titans, Haynesworth was a star in Jeff Fisher’s 4–3 defense, where he used his tremendous strength as a one-gap tackle to terrorize quarterbacks and confuse blockers in stunts with end Kyle Vanden Bosch. When the Redskins signed him to a seven-year, $100 million contract with a then-record $41 million guaranteed in February 2009, they unexplainably made him a two-gap tackle in more of a hybrid defense. Basically, they paid Haynesworth handsomely to soak up blockers for other pass-rushers. It was perhaps the most ridiculous decision of Vinny Cerrato’s ill-fated time as Washington’s GM, but Haynesworth didn’t help his case with a poor attitude and inconsistent conditioning. When Mike Shanahan became the Redskins’s coach in 2010, there was a standoff between player and coach regarding Haynesworth’s physical condition, and he was eventually suspended for failing to follow team rules. The Redskins traded him to New England in 2011 for a fifth-round pick in the ’13 draft, and Haynesworth was released from the Patriots’ employ after a confrontation with assistant coach Pepper Johnson. The Buccaneers gave Haynesworth a chance, but that didn’t work out. For all their money, the Redskins got two years from Haynesworth, in which he put up 6.5 sacks and 42 total tackles. 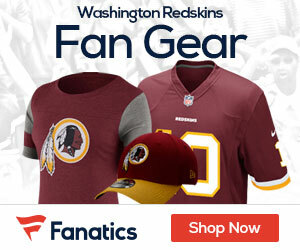 In 2012, the Redskins were handed severe salary cap penalties for their attempts to spread out the damage of Haynesworth’s contract during the uncapped year of 2010. Haynesworth was indeed the gift that kept on giving.